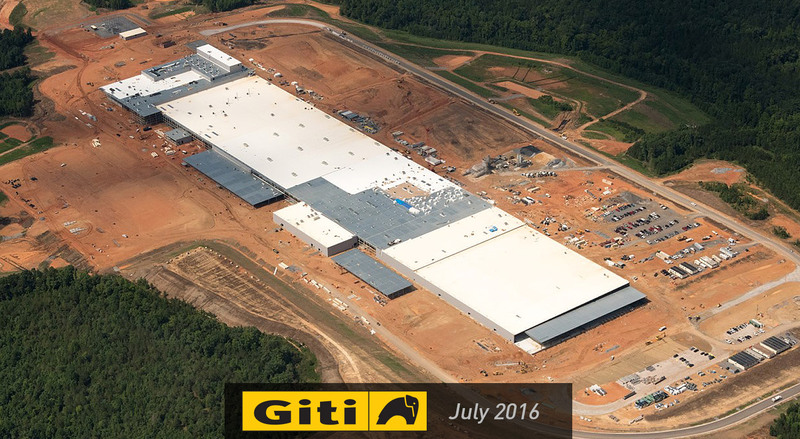 In 2015, global tire producer Giti Tire broke ground on their first manufacturing facility outside of Asia. Located in Richburg, SC, the 1.8-million-square-foot plant sits on 11,000 acres and will host nearly 2,000 employees when completed later this year. To furnish signage for the massive complex, Giti Tire chose Colite to manage the design, engineering, manufacture and installation. The signage program that Colite developed featured several large wall signs and monuments ranging from 20 to 30 feet in length.